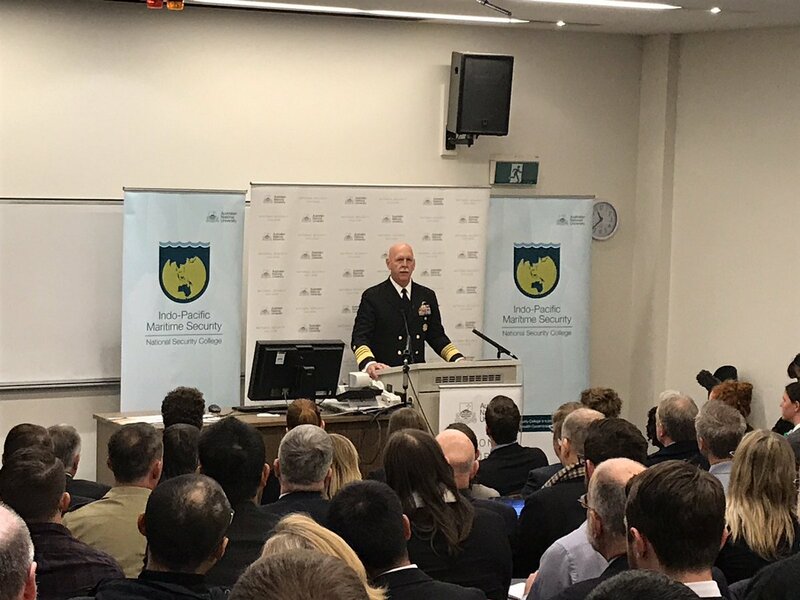 Greetings from the Australian National University in Canberra, where Admiral Scott H Swift, Commander, U.S. Pacific Fleet (COMPACFLT) is speaking on Stability in the Indo-Pacific: the roles of the US and Australian navies. He had just come from taking part in Exercise Talisman Sabre 2017 in Queensland. The Admiral criticized China over its actions in the South China Sea, without mentioning the country by name: "US forces will continue to fly, sail, and operate, wherever international law allows". In response to a question, Admiral Swift mentioned how being part of Operation Praying Mantis had broadened his thinking as to the role of military operations. Answering another question he spoke positively of China's One Belt One Road Initiative. I suggest that Australia needs to place an emphasis on soft power, including through the provision of aid, including education, to countries of the region. In 1997 I observed a joint Australian-US exercise on board the USS Blue Ridge, flagship of the 7th Fleet in the Coral Sea. A US Carrier Strike Group is an impressive force, however it is an expensive resource and can't everywhere all the time.